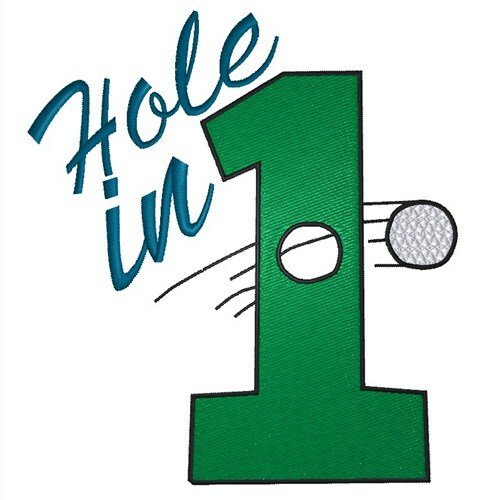 WANT MORE FUN PLAYING GOLF? Then do what these Olympic View ladies did. Enter a Zone Tournament and enjoy connecting with old friends and making new ones. 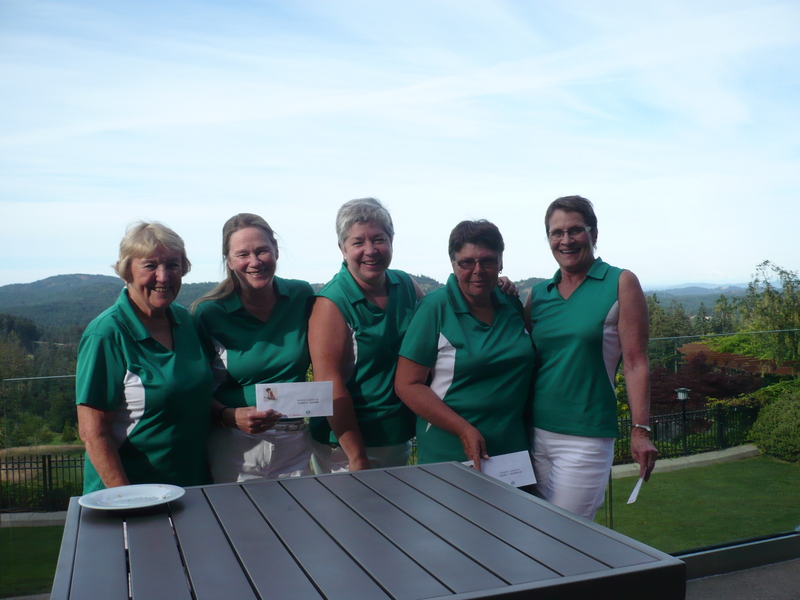 There are two events left in 2015; the NET Tournament at Salt Spring, July 16th, where the hospitality of the Island Ladies is outstanding. Take a mini holiday! 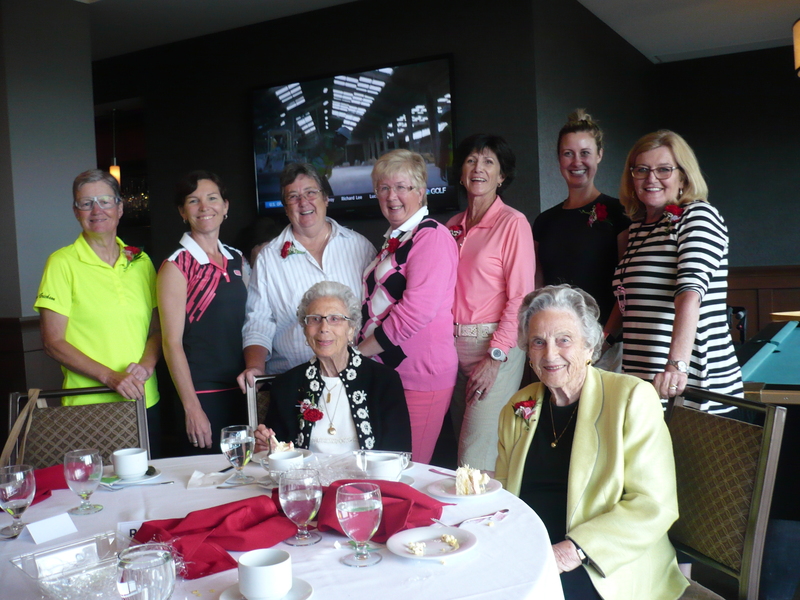 Come over the day before for a practice round followed by a BBQ hosted by the Salt Spring ladies. The final tournament of the year is the ever popular FOURSOMES. Choose your partner and enjoy 5 different courses – you are guaranteed at least 3. Remember you can enter online – eyes right to ENTRY FORMS!! 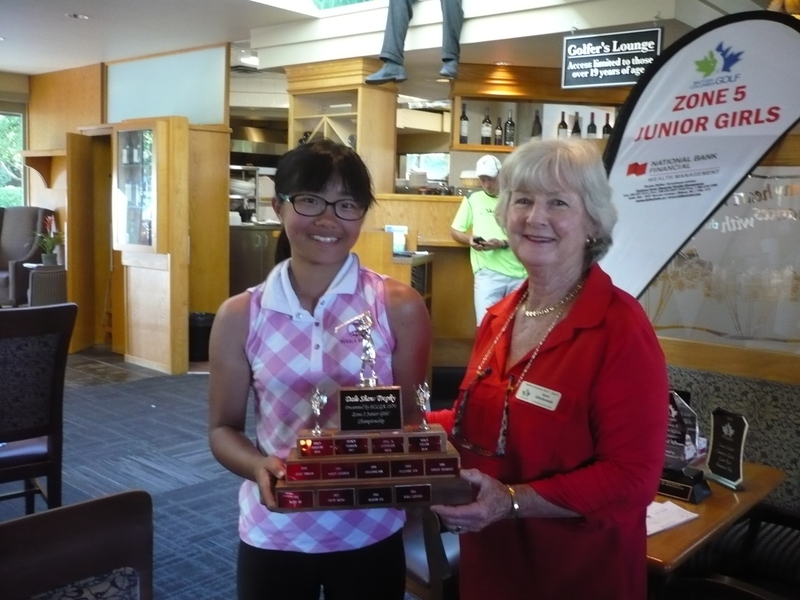 Twelve year old Akari Hayashi carded two beautiful rounds on Saturday and Sunday (June 20th & 21st) at Cordova Bay to win the Dale Shaw Low Gross Trophy. Her first day total was 79 followed by a sizzling 75 to win the Championship by 3 strokes. 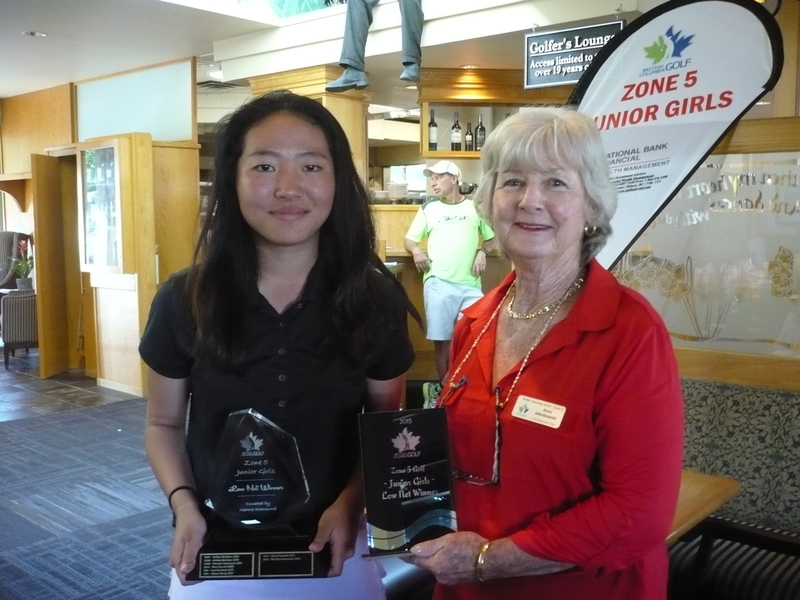 Her sister, Mirai, who just turned 15, also had great rounds of 80 and 77 to take home the Norma Kronlund Low Net Trophy with a net score of 143. Alison Murdoch, Bree Sharratt, Janice Davidson, Diane Rands, Penny Baziuk, Alison Quinlan, Lee Ashby. Seated: Joan Lawson, Margaret Todd. Thank you to Thrifty Food (Broadmead) for donating the cake. 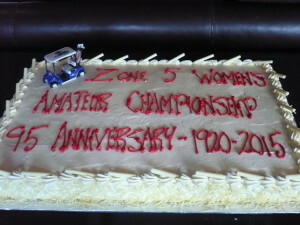 Bree Sharratt and Alison Murdoch will represent Zone 5 in the Team Event at the B.C. 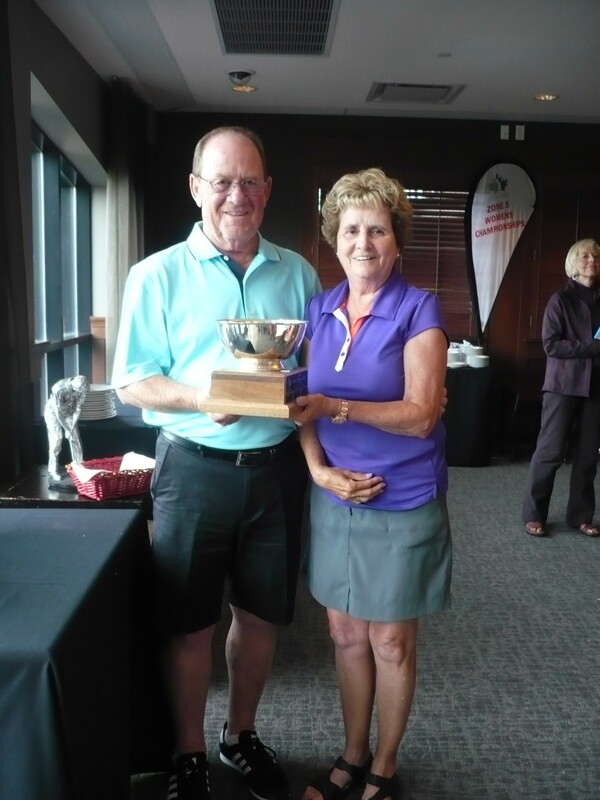 Amateur Championships at Duncan Meadows Golf Club, June 30 – July 3rd. Alison Murdoch and Penny Baziuk will represent Zone 5 in the Team Event at the B.C. 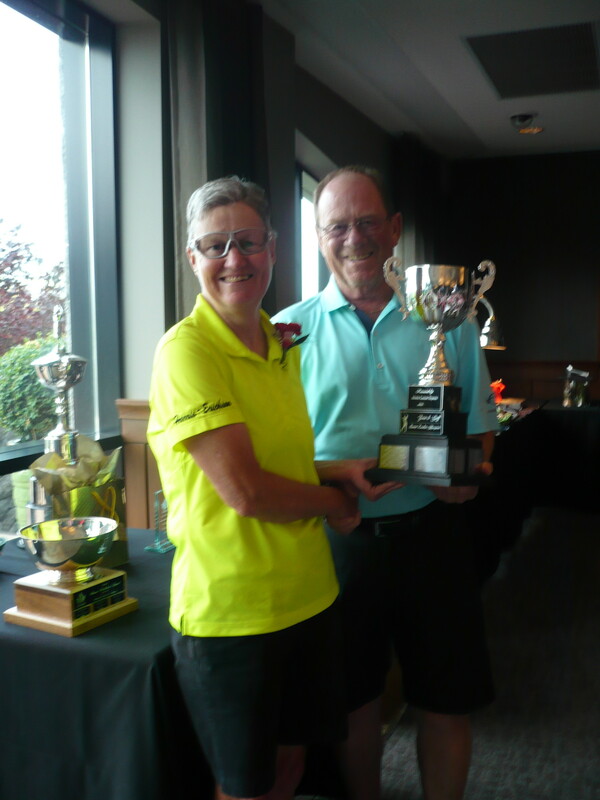 Senior Championship at Cowichan Golf Club, June 24th to 26th. On May 17th, Zone 6 hosted the V.I. 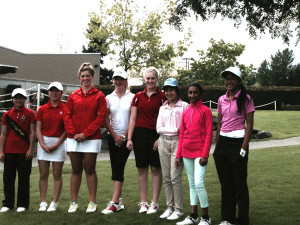 Junior Girls Championship played at Nanaimo Golf Club. Shirin dropping a 15 ft. putt on the third extra hole to take home the trophy. Zone 5 players, Mirai and Akari Hayashi of Uplands, placed 3rd and 4th Low Gross with 82 and 84 respectively. Bee Borvornsurwan, also of Uplands, took 2nd Low Net with a 71. In 2016, this championship will be hosted by Zone 5.